1208 12th Place Kalona, IA. 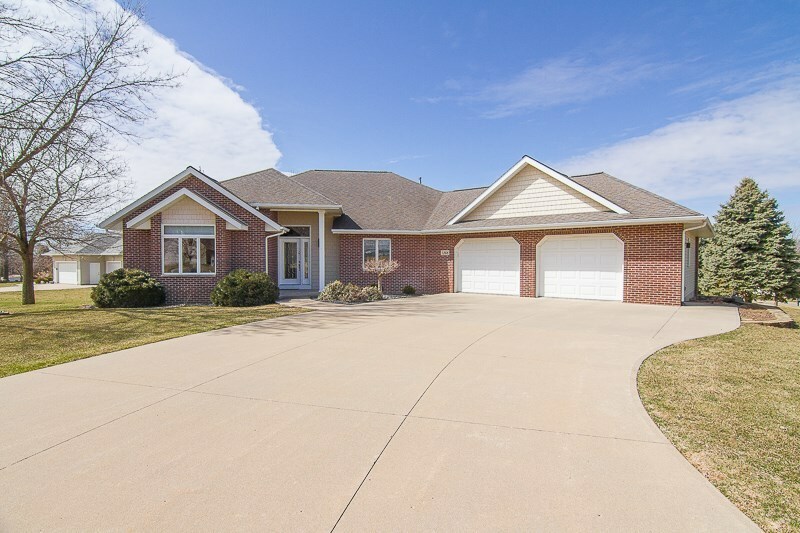 | MLS# 20182137 | Kalona Realty, Inc.; Listings and Selling property in greater Washington and Johnson Co. area. Immaculate 3-4 bedroom walkout ranch. Open concept kit w/custom maple cabinets, new luxury laminate hrdwd floor, all appli. included, vaulted ceiling, 5x7 walk-in pantry, breakfast bar, LR & DR lead to 264 SF 3 seasons room + 12x17 screened porch w/ maintenance free decking. Large master suite w/ tray ceiling, reading nook, walk-in closet w/custom shelving, master bath w/ whirlpool tub, heated tile floors, walk-in shower, skylight, his & her sinks. ML office, 2 more bedrooms & full bath complete the ML.